Handling expenses is a part and parcel of adulting. You have to be mindful of your income, your expenditure, your savings & investments, month after month, to be able to achieve your goals in good time and live a comfortable life. Having money when you need it most is what effective financial planning is all about. Budget for your expenses: Know all your fixed expenses (such as rent or EMI payment) and flexible expenses (grocery, electricity), in advance. Budget for these from your monthly salary. Treat these as #PriorityZero expenses. Do not disturb this amount from your salary, for any other non-priority expenses. Invest at the beginning of the month: Now that you know your expenses well, figure out how much of your salary can you save. Invest this amount, as soon as your salary is credited to your bank account, so that you do not spend this money in buying things you don’t even need. This will also help you spend the rest of your salary without guilt. Avoid Impulsive Shopping: There are many ways to save money even while pampering yourself with expensive stuff & maintaining a lavish lifestyle. With a strong e-commerce pull in the country now, there are sales almost all year round, even at the high-end brand stores. It is wise to wait for these sales before you make an expensive purchase. Make a list of items you need and try not to get carried away when at a mall, or while browsing e-commerce apps. Buy only what you need that month. Be green & live frugally: Being green is not only good for the environment, but also is very economical for you. Simple things like always carrying a water bottle & a cotton bag whenever you step out of the house, can help you save on unnecessarily spending on mineral water and carry bags at stores. Cook & host parties at home, this will help you save on unhealthy finger food at high-end restaurants. You will develop the habit of eating healthy, further lowering your doctor’s bills. Use your credit card only for emergencies: Yes, credit cards can seem very rewarding for shopping & traveling, but it’s wise to keep your credit limit free for emergency expenses such as hospital bills or unexpected guests. Credit cards are a brilliant source of liquidity. Make sure your monthly expense limit is not exhausted on non-priority expenses & impulsive shopping. A little planning and some ounces of self control, can help you save & invest more, which ultimately helps you achieve your goals faster. On Paytm Money app, you can set specific goals with a money target towards them. Start an SIP towards them & track their progress too! 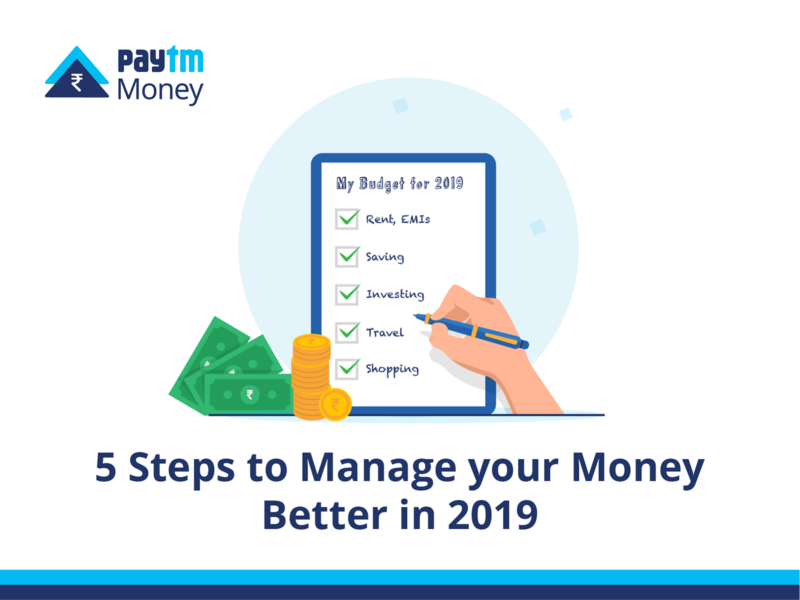 Let us know in the comments below the smart things you do to manage money better. Paytm Money is India’s largest online platform for mutual fund investments and the wholly owned subsidiary of One97 Communications Limited that operates Paytm.